If you wish to intensify your training for an upcoming event, meet others who share your excitement for the sport, learn the nuances of different coaching philosophies, or simply want to branch out and explore new territory, a training camp might be just what you need. Running camps come in all shapes and sizes and with different levels of amenities, so it’s important to determine what you wish to take away from the camp, the type of experience you desire, and how long you can “get away from it all” before you sign up for one. Andy and Kim Holak’s Adventure Running Co. offer supported, lodge-to-lodge running adventures on the Tahoe Rim Trail, the Wonderland Trail, and the Appalachian Trail. As the website says, “We organize your trip, haul your gear… you run.” Chris Martinez’s 360 Moab Adventures provides running tours in southeastern Utah all year round that last for a half day or full day; however, you get to make the call on the dates, have some input on the routes taken, and decide where you lay your head at night. Yet another option is going abroad with a group like Devy Reinstein’s Andes Adventures, which provides completely supported running trips for up to two weeks in South America. The quintessential example is the Western States 100 Mile Endurance Run Memorial Weekend Training Runs. Race management orchestrates three, consecutive, organized and aided runs of 20 to 30 miles along the race course. The Tahoe Rim Trail Endurance Run and Leadville Trail 100 Mile Run offer two-to-three day training camps on their courses. Races like the Massanutten Mountain Trail 100 Mile Run and the Angeles Crest 100 Mile Endurance Run offer single-day training runs. Prices are free to reasonable, aid is provided, miles are big, camaraderie is there if you choose it, and the runs are open to all. On the flip side, Paul Dewitt’s Colorado High Altitude Trail Running Camp or the McMillan Running Company Camps promise a more structured approach. Post-run activities like yoga for runners, a running-form analysis clinic with videotaping, a nutrition presentation, training philosophy, a core strength session, and trips to local attractions are scheduled. There are women’s camps, like the Active at Altitude Women’s Running and Conditioning Camps; camps that are created to raise awareness and donations for charitable organizations, like Inca Runners’ Grand Teton Ultra Running Training Camp that benefits Peruvian Hearts; and trail and ultrarunning camps for American veterans, like the training camp that Team Red, White & Blue puts on in Texas. Running camps are definitely good from a training and experiential standpoint, but we could also argue that we could hold our own “camp” at home. We can log miles from our front door, order training manuals on Amazon, and Google articles on the Internet. However, the commitment associated with setting aside the time and energy to attend a camp allows us to reap several benefits. Train without distractions – Isolating yourself from the daily chores frees your day and mind so you can run further and with focus. You’ll be able to recover fully knowing that it is your only task of the day after your workout. Learn from others – If the camp is set up with an educational format, you’ll have exclusive face time with experts, coaches, and other experienced athletes. You’ll have the rare opportunity to have your running-related questions answered and the chance to apply and refine what you’ve learned on the trails. You can also look to your fellow attendees as another worthwhile source of new information, insight, and debate. Though there is a monetary and time commitment for most training camps, they are an invaluable tool. The bonds you form with other participants, the miles you cover, and the knowledge you gain can give new breadth to your running and racing. Have you attended a running camp? If so, let us know which one and what you liked about it. What do you think you stand to gain most from participating in a running camp? Thanks for mentioning the Team RWB Veterans Day Camp! Incredible cast of runner coaches/mentors on board this year, beautiful venue, and an incredible cause. Anyone joining us in south Texas this November will not be disappointed! As a follow-up to Jason C's comment, the Team RWB Camp is open to civilians as well as veterans. Check out the website at http://www.trailrunningcamp.org for more info. The line up of elite athletes helping out is incredible! I was supposed to do the Holaks' Tahoe Rim trip this summer but had to cancel. 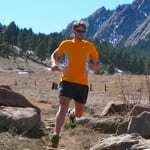 Trail Runner Nation podcast did an interview with Andy H. in June 2012 that's worth listening to if you're considering going on their tours. He and Kim seem like great tour leaders. Paul DeWitt runs a Grand Canyon camp as well as a high altitude Colorado camp. The focus of the Arizona camp is a R2R2R run. I went this past May and it was fantastic – a great way to do that classic run. I attended the Dreamchaser's running camp in the Tetons last fall with Lisa Smith-Batchen, Marshall Ulrich and Ray Zahab. The camp offered many valuable insights, was tons of fun and I met a number of runners doing the Marathon des Sables with me this year. Lisa will hold the camp again in September 2013. Recommended. I had the good fortune of attending the Inca Runners Ultrarunning Camp at Grand Teton last summer. Our coaches were Krissy Moehl and Luke Nelson and we had an evening with the iconic Bryce Thatcher of UltrAspire. Sponsors included Patagonia, First Endurance, Flora/Udo's Oil and Ultraspire. Loads of free gear and samples. The locatipn was great, the coaches top notch, the trails beautiful and I have a number of new friends across the country. It was a great experience. The Inca Runners Ultrarunning Camp at Grand Teton was an incredible experience in all aspects. I second everything that James said about the coaches, trails, and sponsors. Krissy and Luke were thoughtful, helpful, and inspiring. The Grand Tetons are an amazing backdrop with rugged and unique trails. Hugo Mendez organized a wonderful camp and James made some healthy, tasty, and noteworthy meals. I had the unique privilege of attending a WS Training Camp w/ Joe Uhan. We ran an ungodly amount of quality miles, ate a bunch of brownies/ice cream, drank beer, sat in the spa, hung out with the infamous Curley Brothers of Auburn, talked with Jim King & Twietmeyer, and listened to a bunch of Eminem. Oh, and battled one another in Tecmo Super Bowl for regular Nintendo. I have had an unbelievable opportunity to attend Geoff Roes Alaska Mtn Ultra Camp for 2 years as well as Inca Runners Ultra Camp at the Grand Tetons. Very laid back atmosphere to allow conversations on technique, nutrition, etc but my favorite parts are the stories from Geoff, Luke Nelson, and Krissy Moehl! Then stories from Bryce Thatcher and his FKT run at the Inca camp as well as stories from the locals in Juneau. Some truly great people. And the views…breathtaking!! I love how they both have had the "epic runs" at the end of the week. These camps have changed my life! Ian, thank you for mentioning Andes Adventures.